She didn't need a sign, she oozed cool anyway. An ancient iron steam tug wonders about this new poly-something stuff they build boats from these days. What a tease. I want to see all of her. 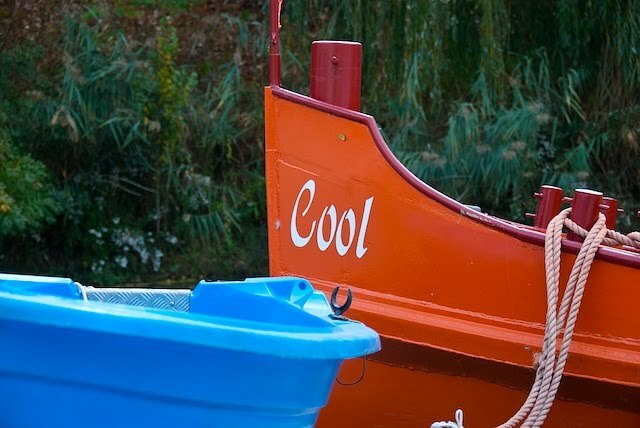 I love boats with real character.